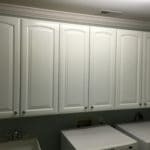 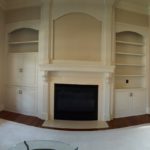 Here’s one of my personal favorites – Benjamin Moore Balboa Mist. 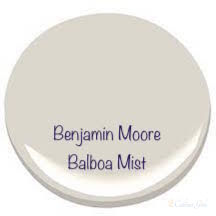 It’s a warm gray that’s so soft, that it can trick you into thinking its a white. 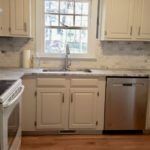 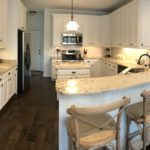 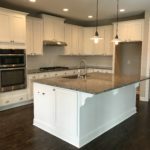 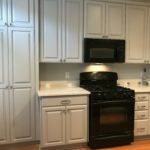 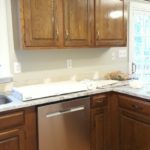 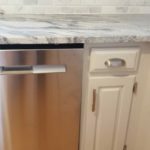 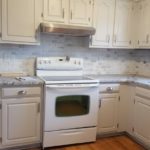 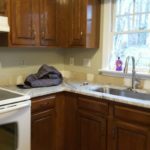 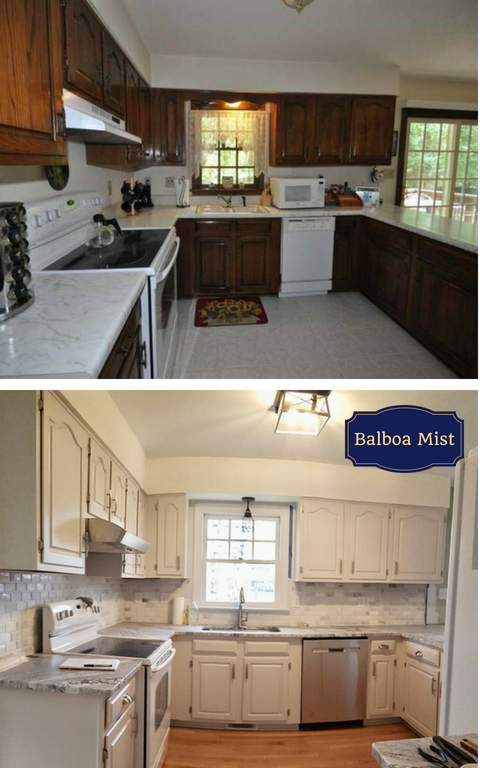 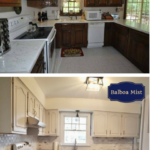 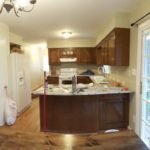 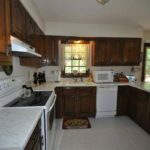 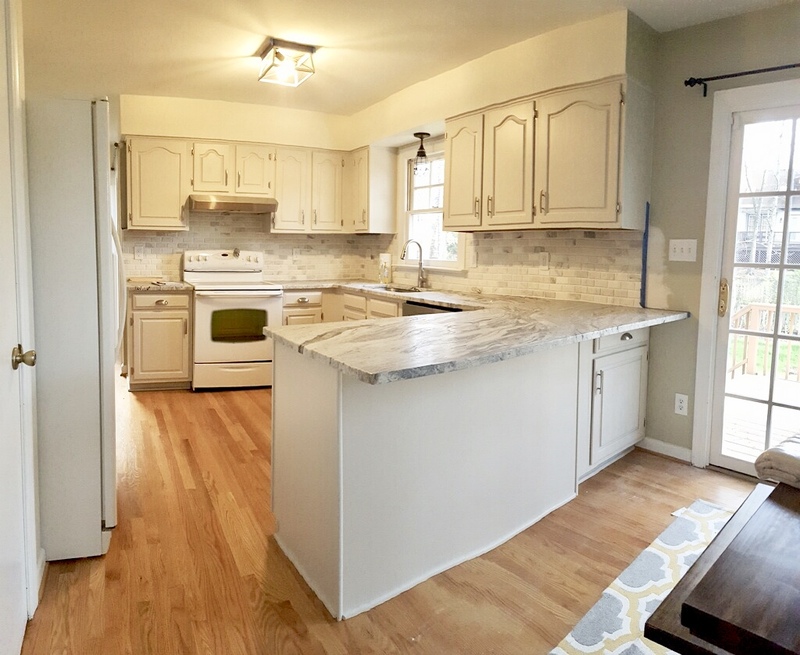 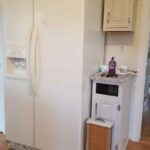 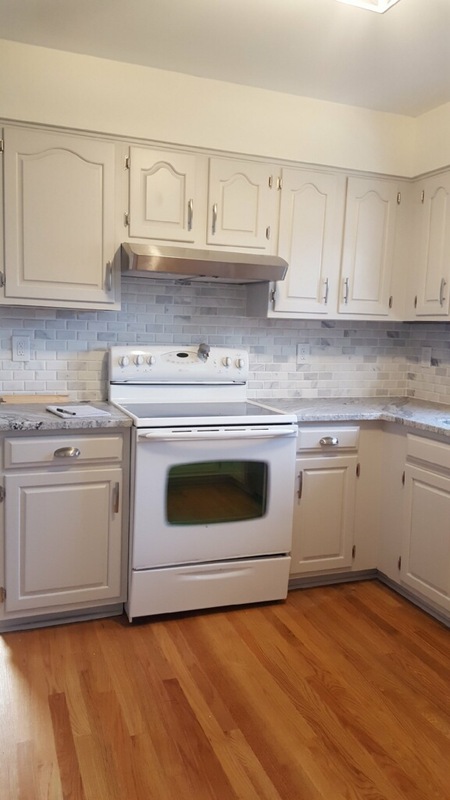 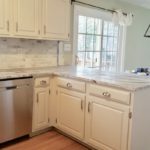 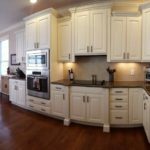 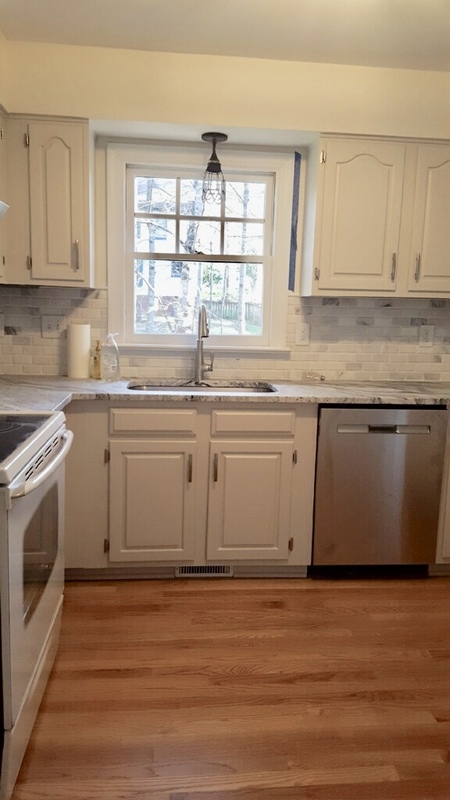 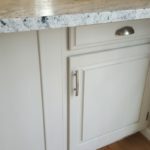 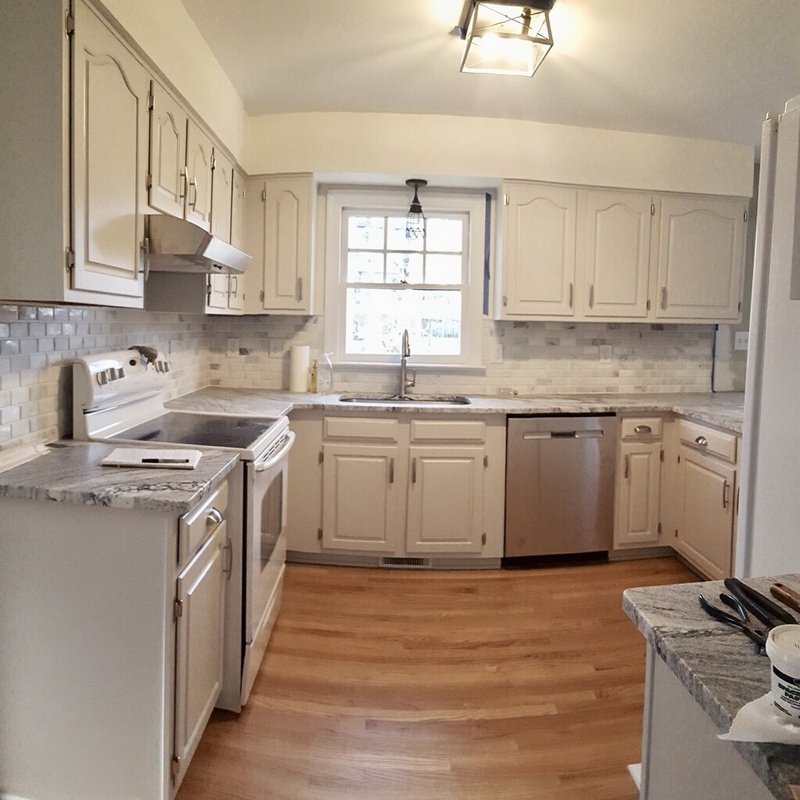 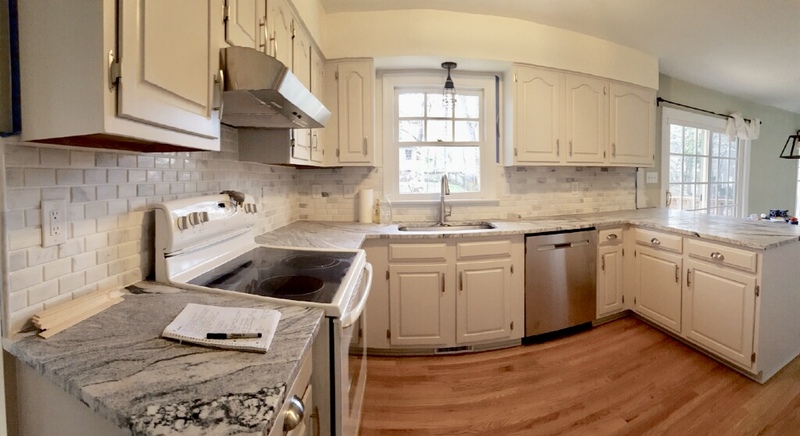 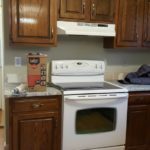 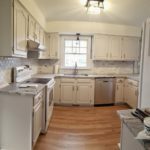 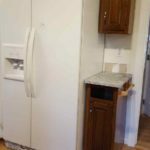 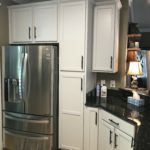 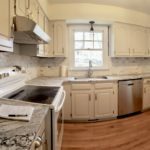 In this kitchen, our homeowners replaced not only their backsplash but also their countertops, both in a complimentary warm gray tone. 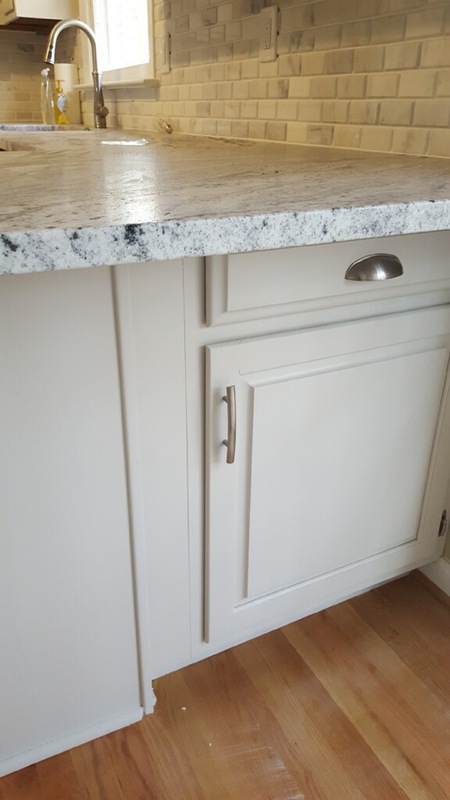 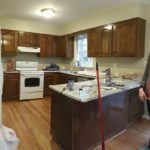 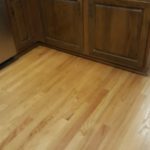 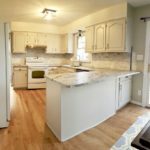 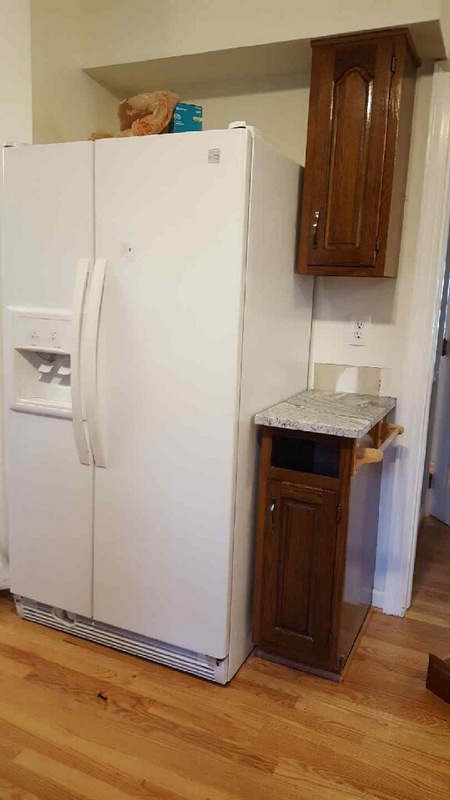 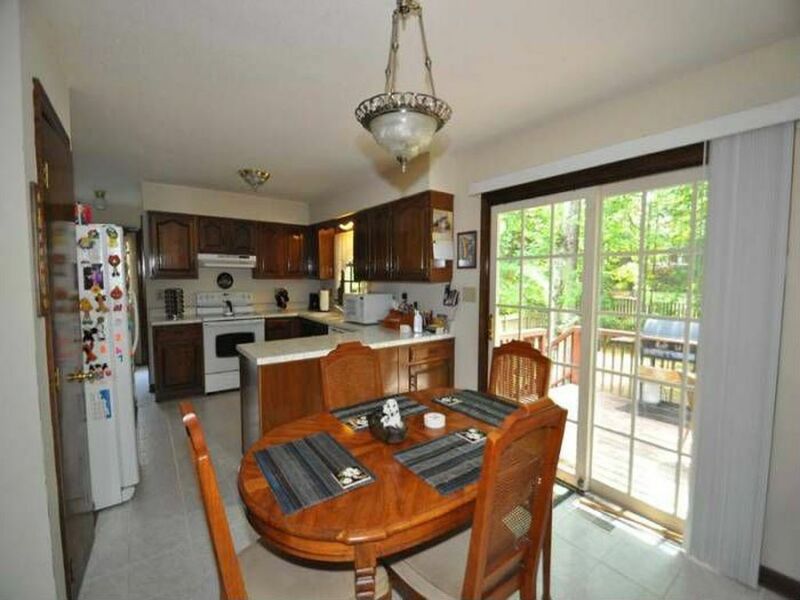 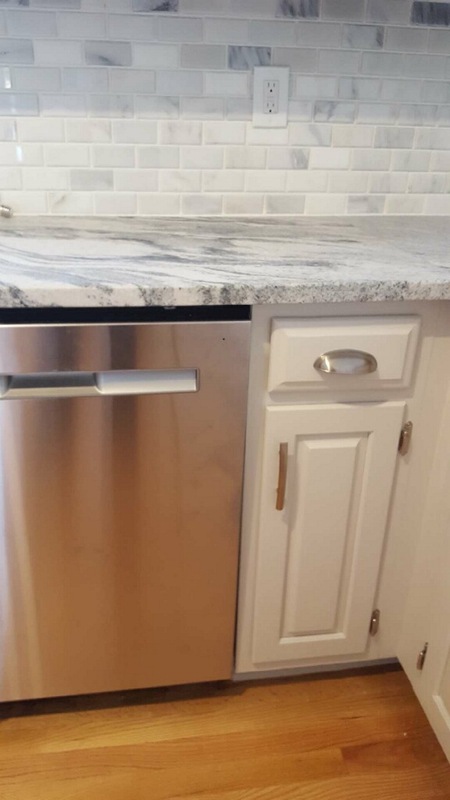 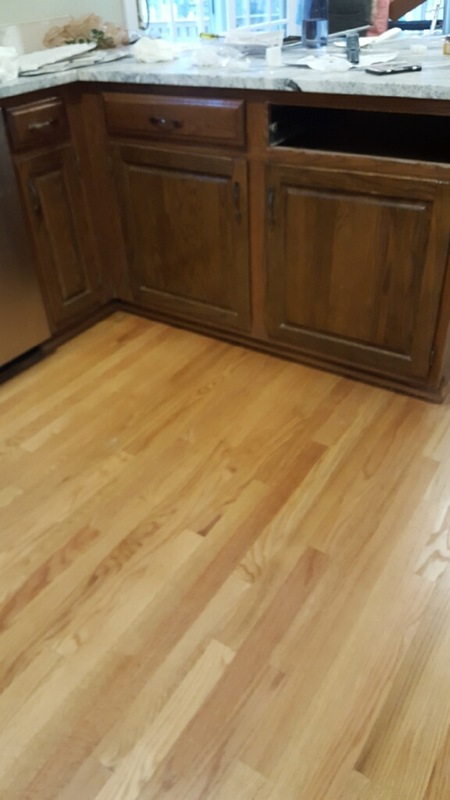 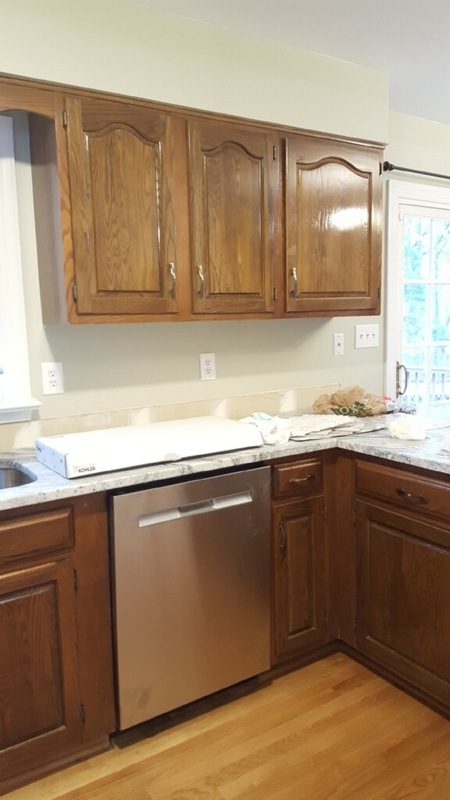 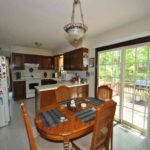 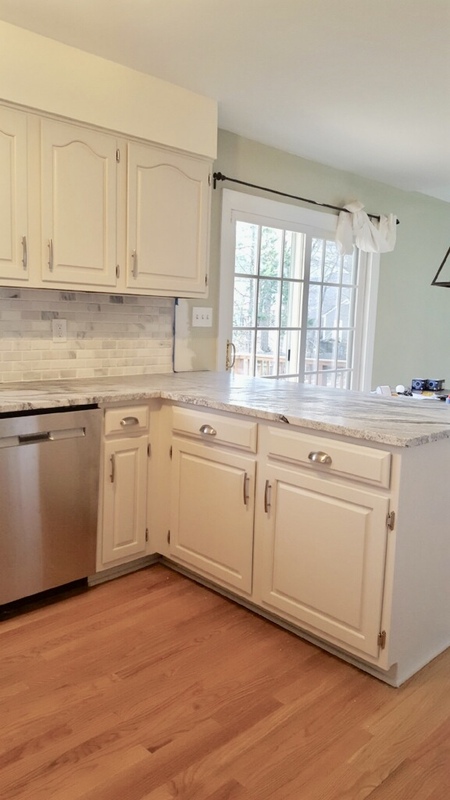 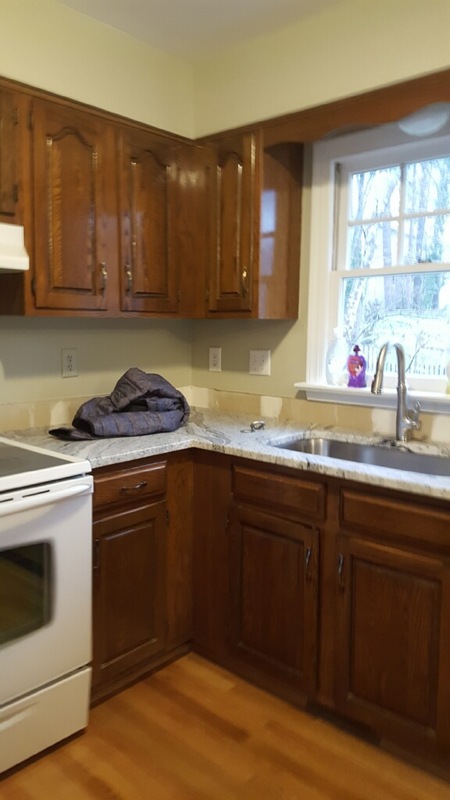 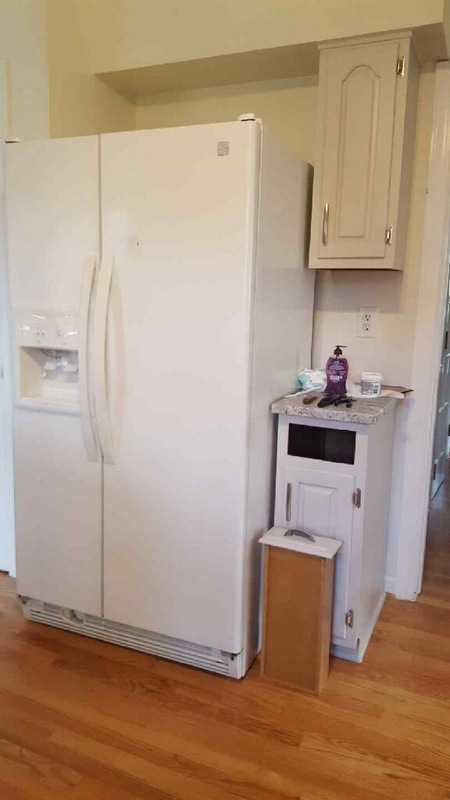 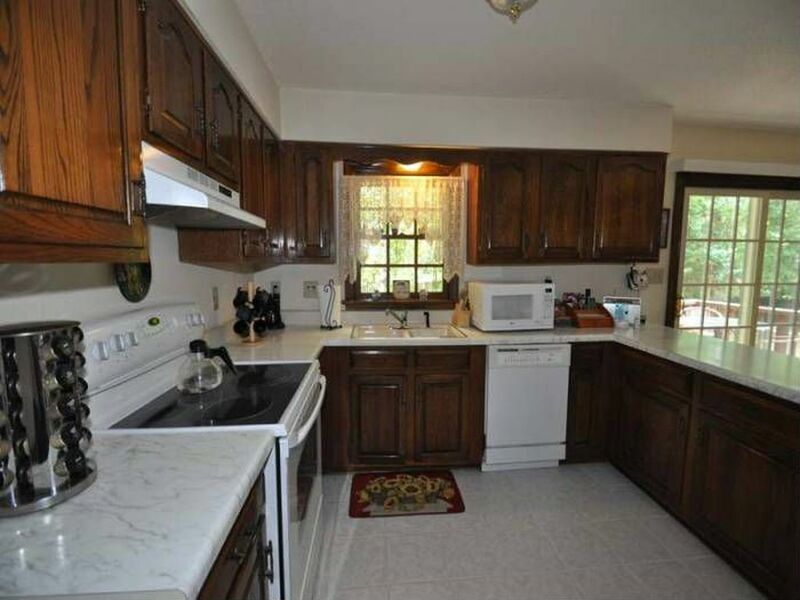 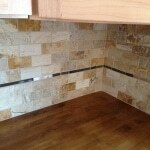 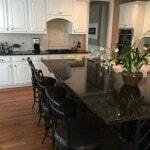 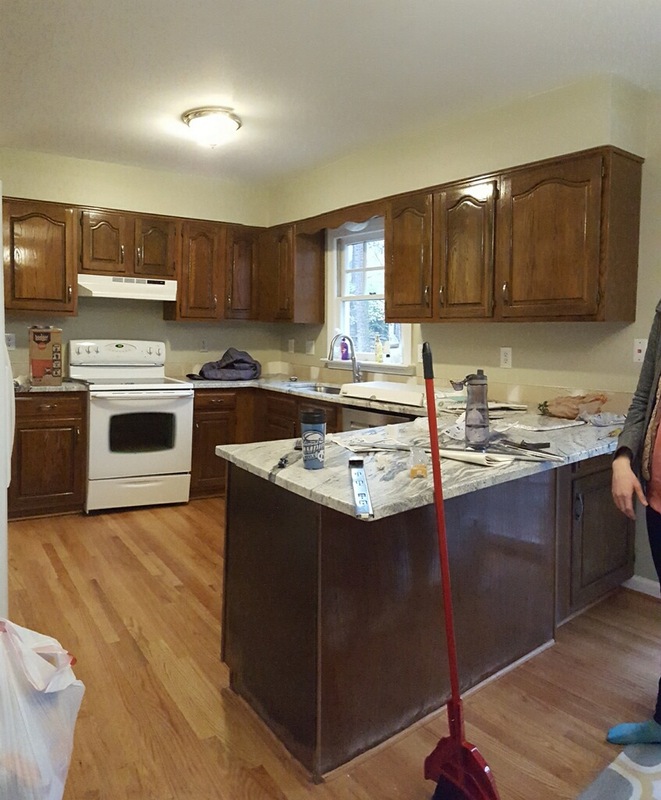 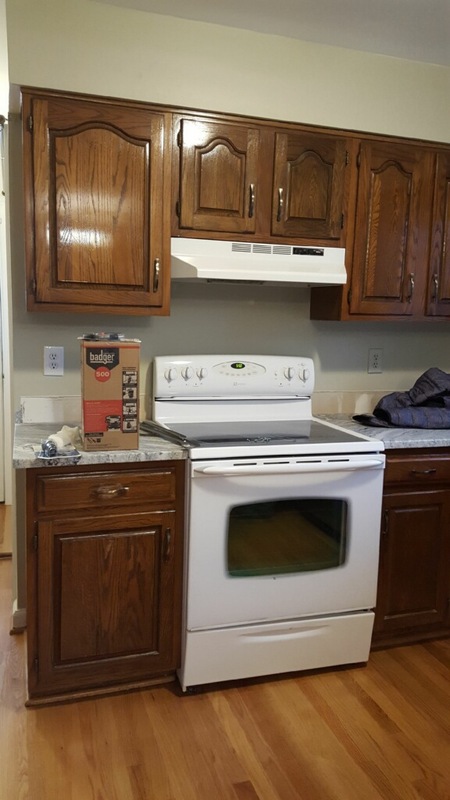 Now this dated kitchen feels so fresh and new and the granite countertop really WOWs you!